Dr. James D. Watson is widely regarded as the father of DNA science. He was born in Chicago, Illinois in 1928 and educated at the University of Chicago. In 1953, while at Cambridge University, he and Francis Crick successfully proposed the double-helical structure for DNA, an insight described by Sir Peter Medawar as the greatest achievement of science in the twentieth century. For this work, Watson and Crick together with Maurice Wilkins were awarded the Nobel Prize in Physiology or Medicine in 1962. While a professor at Harvard, Watson commenced a writing career that generated the seminal text Molecular Biology of the Gene, the best best-selling autobiographical volume The Double Helix, and most recently, Avoid Boring People. Dr. Watson was elected to the National Academy of Sciences in 1962 and in 1977 received the Medal of Freedom from President Ford. He has received honorary degrees from many universities including The University of Chicago (1961), Harvard University (1978), Cambridge University (1993), University of Oxford (1995), Trinity College (2001), and Uppsala University (2007). He was elected a fellow of the Royal Society in 1981. Dr. Watson received the National Medal of Science in 1997, the City of Philadelphia Liberty Medal in 2004, and the Benjamin Franklin Medal awarded by the American Philosophical Society in 2001. Queen Elizabeth proclaimed him an honorary Knight of the British Empire in 2002. 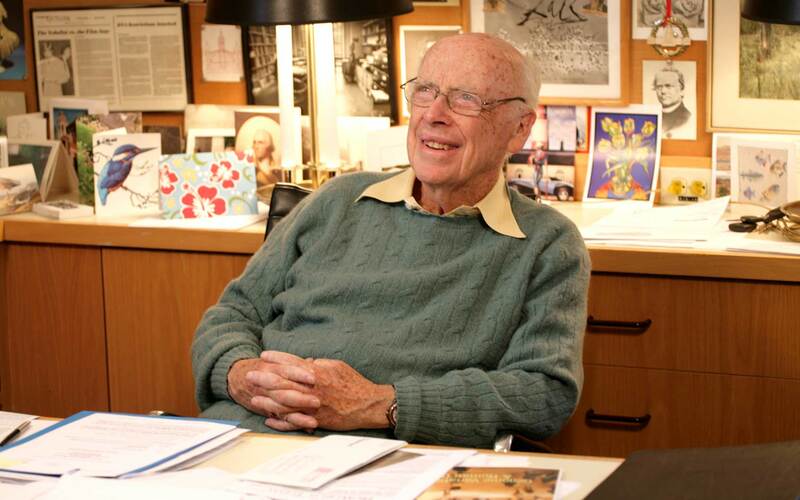 In addition to his service as its Director, Dr. Watson has served CSHL as President (1994-2003) and Chancellor (2003-2007) and is now Chancellor Emeritus.